WWI Profile: John W. Carlisle 1887-1919 | Friends of Fort Caswell Rifle Range, Inc.
John Carlisle was born in Mill Branch, NC, in 1887. He married Lizzie Fowler or Walker (records aren’t consistent) in 1911. His draft registration shows he was married with two children, working as a farmer in Mill Branch. Records show his children were born in 1913 and 1916. John was ordered to report to duty on September 19, 1917 [Source: ancestry.com]. He was 31 years old. A third son was born during his training, January 7, 1918, confirmed by the 1920 Census. Pvt John Carlisle was initially assigned to the 322th Infantry, 81st Division. Many from the 81st Division were moved to supplement the 30th Division and this included Pvt Carlisle. On February 20, 1918, he was transferred to the 119th Infantry, 30th “Old Hickory” Division, and eventually Company K. He served in that division throughout the war, according to his NC WWI Service Card. Previous posts described the operations of the 119th Infantry until the war ended on November 11, 1918. At that point, the 30th Division moved by rail to Beaumont-sur-Sarthe, Southwest of Paris. They remained there until February 11, 1919, when orders were received to march approximately 30 km to Le Mans, to prepare for embarkation to the United States. 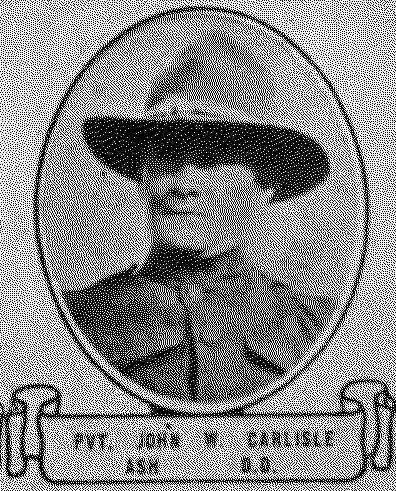 Pfc John Carlisle died of pneumonia on February 13, 1919. There has been no record found for the return of his remains to the United States. Some members of the The Friends of Fort Caswell Rifle Range visited Griffin Cemetery in Ash, NC, recently to pay tribute to Pfc Carlisle and take photos and rubbings of his headstone. While not an official military headstone, it does include his service on the back of the headstone, as shown. Notice the American flag displayed. The meaning of “No. 63 F” is unclear. Anyone with information is asked to contact the Friends of Fort Caswell Rifle Range. John’s second son died of hepatitis in May 1919 and was buried in the same cemetery as his father. He was three years old. 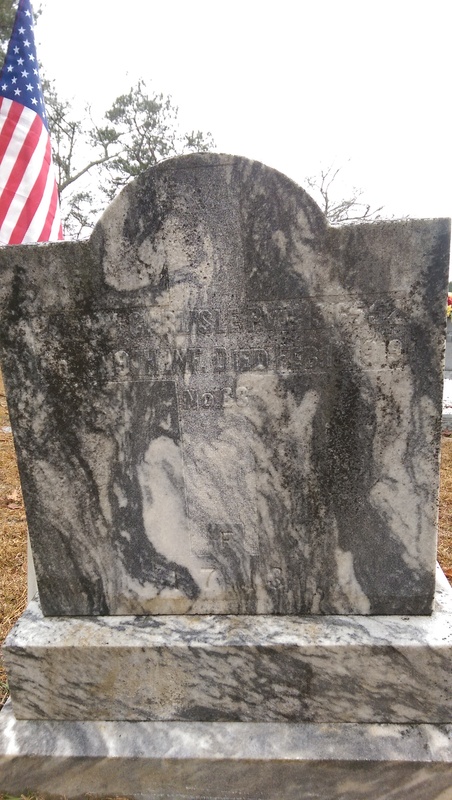 His oldest son died in 1993 and is buried in Brunswick County. His youngest son fought in many battles in the Italian Campaign in WWII and received a Purple Heart. He died in 1994 and was buried in Salisbury National Cemetery, in Rowan County, NC, with military honors. This is the last profile for the 119th Infantry. Next week, posts begin for the 120th Infantry of the 30th Division.